• Please note the dress code for Wat Phra Kaew. They don’t allow shorts, short skirt, tight pants, torn pants, or sleeveless shirt. Cover dress can be borrowed but it saves the hassle to dress according to their code. The best of Siam kingdom in a single day. 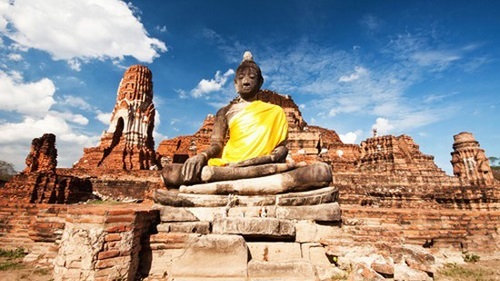 This driving tour will let you see the 2 capital cities of Thailand, each with its own grandeur and history. 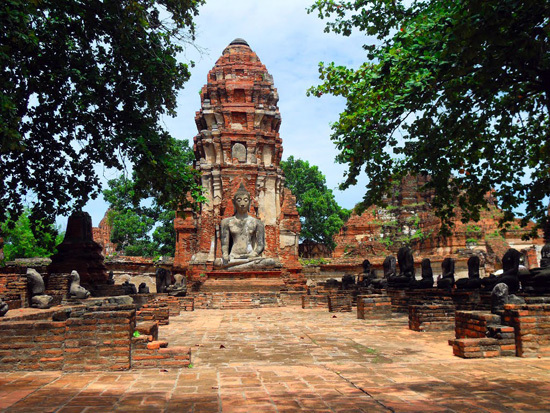 Ayutthaya was the capital of the Siam Kingdom (Thailand’s old name) from 1351 to 1767 and was considered one of the greatest cities in its time. 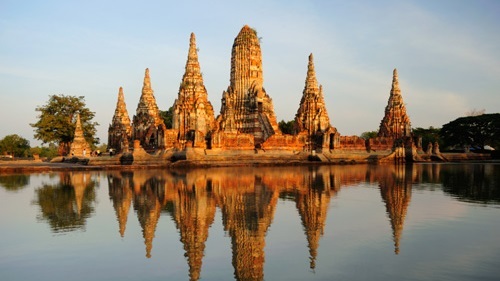 In its peak in the 17th century Ayutthaya royal court had strong links with that of King Louis XIV of France, whose ambassadors compared the city in size and wealth to Paris. 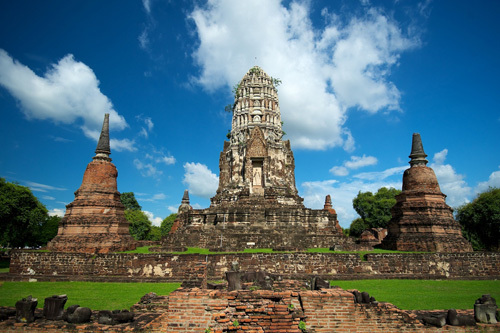 After Ayutthaya’s fall in 1767 the center of the kingdom was moved south and Bangkok soon became the new capital in 1782. It has evolved to be a modern cosmopolitan that is known today for its rich history, culture, and livelihood. 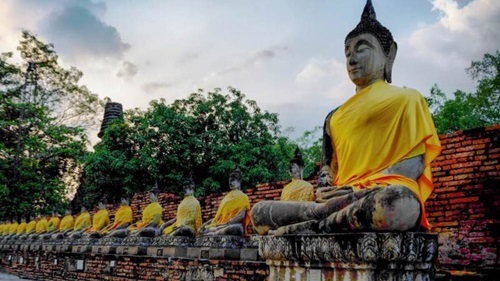 In 1782 King Rama the first established Bangkok as the capital of Siam with the vision of making the city as glorious as Ayutthaya had ever been. You can see clear evidence of this when you visit the old Bangkok (called Rattanakosin island, as it’s surrounded by river and canals). 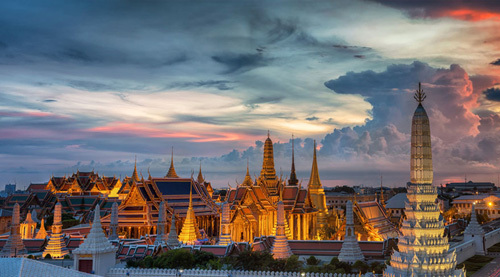 The Grand Palace was erected and its temple Wat Phra Kaew was richly elaborated that it had become the symbol of Bangkok for centuries to come. Many other Royal temples and palaces were found by the subsequent kings and they were almost all very elaborate, beautiful, and one of their kinds. 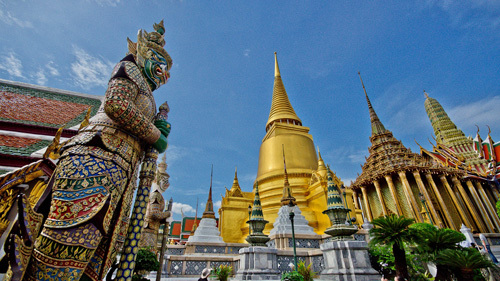 Wat Phra Kaew is arguably the most important landmark of Bangkok. It is visually stunning and conceptually mystifying, and is revered as the most sacred Buddhist temple (wat) in Thailand and thus all the buildings in there are richly elaborated. 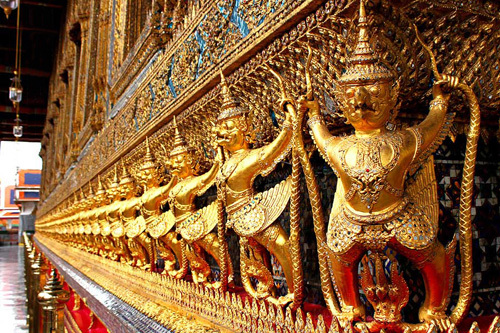 Commissioned by King Rama I as the royal temple, you will see the glisters of gold almost everywhere. 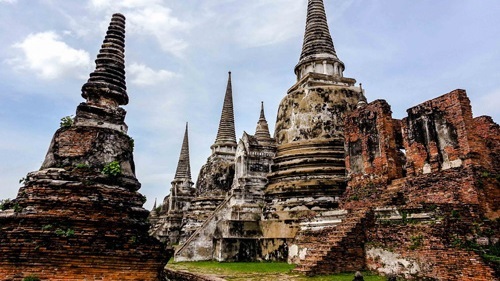 All the buildings spare nothing on elaboration according to Buddhist and Hindu heritages which are the prevailing religious beliefs in Thailand. The main building houses the Emerald Buddha which is the sacred statue of the Buddha believed to be the protector of Thailand. 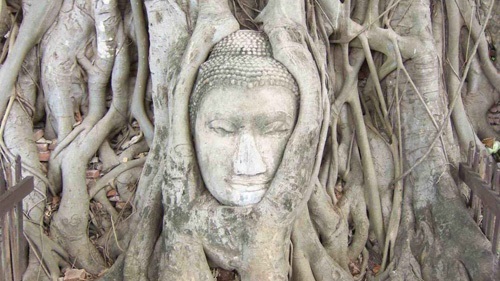 Around the ground you will see many mystic creatures there including Giants, Garudas, Sihamoni angels, and Kinnara. One of the surprised displays is the model of Angkor Wat. All the shires and walls have deeper stories and it will help to have tour guide. 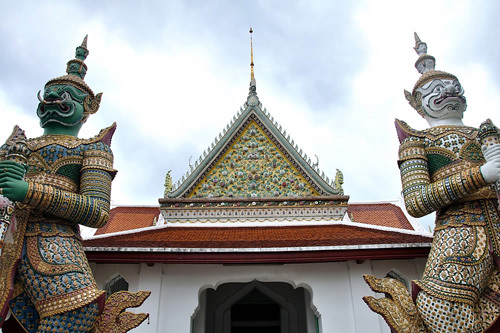 Wat Pho is a royal temple richly decorated with eastern sculptures and architecture. The temple is classed as the highest grade of the Royal temples in Thailand. King Rama I first rebuilt the temple complex on an earlier temple site, and became his main temple where some of his ashes are enshrined. It was later expanded and extensively renovated by Rama III. The temple complex houses the highly revered 46m long Reclining Buddha, which is 15 m high and 43 m long with his right arm supporting the head. 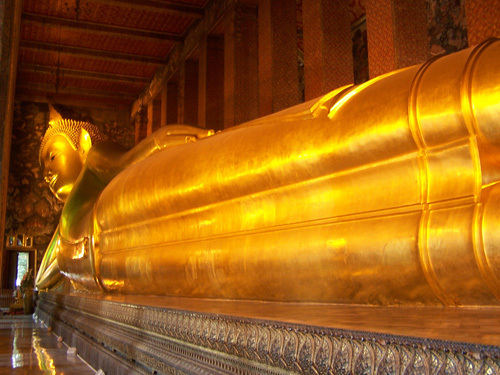 This giant reclining Buddha is a surreal sight and you wouldn’t believe it is housed inconspicuously in the center of busy city like Bangkok. The surrounding area is also beautiful with gardens, sculptures, pagodas – all conveying very interesting mystical stories.